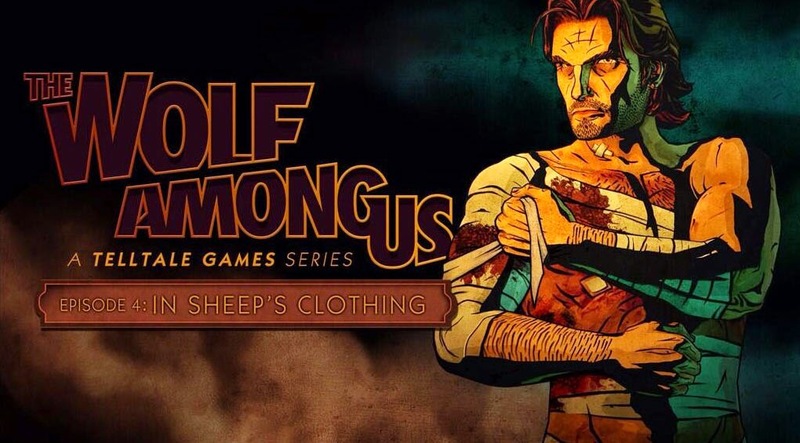 Somnambulant Gamer: The Wolf Among Us; Episode 4 "In Sheep's Clothing"
The Wolf Among Us; Episode 4 "In Sheep's Clothing"
"It's the job," is one of the first things Bigby gets an opportunity to say in the latest episode of The Wolf Among Us. "In Sheep's Clothing" is the fourth and penultimate installment of the acclaimed Telltale series base on Bill Willingham's Fables comic. It's an episode dedicated almost entirely to clearing up loose ends, but in doing so, sets up a finale that could really go anywhere. This far into the story, spoilers are increasingly difficult to avoid. 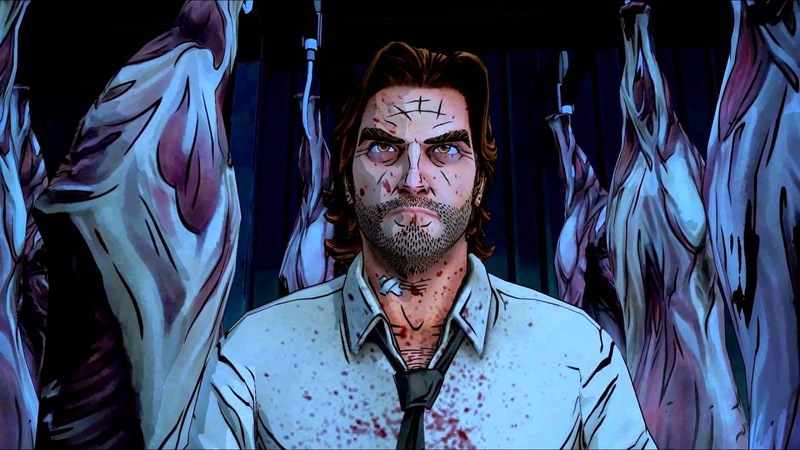 I'll do my best to avoid major points, but if you haven't gotten the hint by now, go and buy The Wolf Among Us. Shameless plug aside, 'In Sheep's Clothing' covers a great deal of ground in a short time. The previous entry made the real enemies pretty clear, and most of the time spent in this episode is dedicated to tracking them down. It's fast paced and gritty, hard-boiled crime noir at it's core. While we know where things are headed, the ending of "In Sheep's Clothing' still has me guessing what will happen in the finale. I really thought I knew exactly was was going on by now, but as I should have expected, it's not all quite as simple as it seems. As with any good detective story, there are layers of truth and nuances in right and wrong. Much of the episode is spent tying up loose ends; providing resolution -be it good or bad- to conflicts started in the first and second installments. It's a nice feeling to put a decent end to even a small detail, especially considering how rough many of Fabletown's residents seem to have it. Even with the numerous side characters crowding the picture, the episode never loses focus. At every moment, it is still driving the story forward, towards it's bewildering, but surely intriguing conclusion. The first issue of the comic introduced Snow as the Deputy Mayor, but here she's still inexperienced, forced into the position by the departure of Crane. The loose ends in her story are more about her role in the future of Fabletown. It's particularly interesting seeing her come into her own and beginning to behave more like the Snow I've come to know in the comics. I'm not sure what the future holds for The Wolf Among Us. Bigby has found himself in the middle of a massive secret; one that has been brewing right beneath his nose for a long time. Even though the episode dishes out a serious helping of resolution, what Bigby uncovers could affect every single member of Fabletown. No matter what may come, Bigby seems willing to step in front of it. After all, it's the job.